Inspired by Lazy Girl Running I have decide to put a Training Plan together for an Autumn Half Marathon. I have a place for the Great North Run, (which has been on my list of things to do for a long time), but am going to have to pull out or hopefully defer to next year as I have a wedding of a good friend to attend the same weekend, that unfortunately doesn’t happen to be in Newcastle. I still want to do a half marathon this Autumn so have selected the award winning Ealing Half Marathon at the end of September. 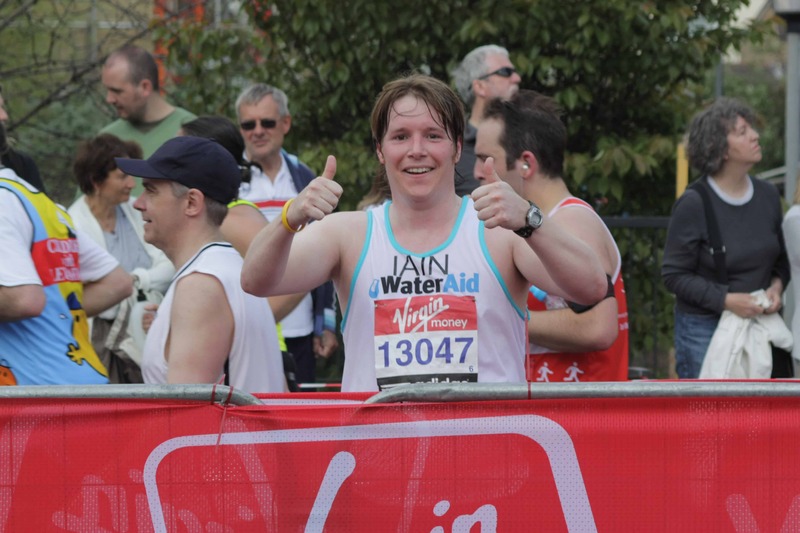 I have not had an “official” training plan since I ran the London marathon many years ago. I have just been muddling through with the odd run here and there and staying in fair good shape. 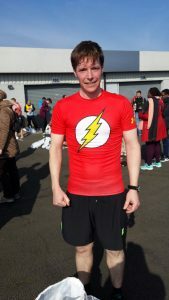 I ran the Adidas Half Marathon in March and achieved a PB by a whopping 12 or so minutes. As I mentioned in my post about the race, the PB and excitement to be racing masked the fact that I did not have the longer distance base fitness and I was really cheating myself that I was ready because I had run a few quick 10kms. 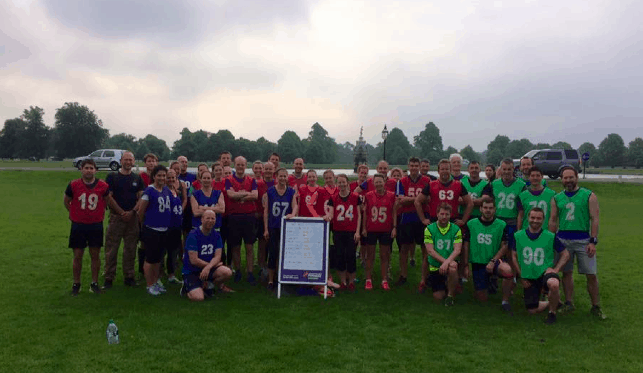 Bushy Park BMF – I am in there somewhere! I have thought about joining a running club for a while. What I forget is that I actually attend one. BMF now runs a running club a couple of time a week at some of its venues. I am lucky enough to attend one of those at Bushy Park. As the names suggests it is BMF without the planking and burpees! The workouts are varied, there are sprint sessions, interval sessions and sometimes it is just a long run with a water break in the middle. What I have found is that I run considerable harder and faster than I ever would on my own. There are some very good runners there and challenging yourself against the same people every week pushes you on. Having spoken to a number of people there, and they feel it too and notice how much their running has improved and PBs are tumbling left, right and centre. I have not really tried tempo sessions before (I suspect I treat parkruns as tempo runs). The best description of a tempo run is “comfortably hard”. It can get scientific, but it is to do with your lactate threshold and the speed you are able to run at before lactic acid begins to accumulate in the blood. For me, it is running hard and fast for a period of time so that I am able to maintain a good pace come race day. It is a key component to successful distance running. I love to run fast. It is my favourite part of BMF and the bit I excel at. A number of sprints with short or equal recover periods really put you through the ringer and helps build strength, develop good form and anaerobic fitness. I will likely end up doing these in a local park between a couple of trees. Hills sessions as the name suggests is about running up hills. It improves leg muscle strength as you have to overcome gravity to move up the hill, which results in more power when you are back on the flat. It is also good for your running form and developing your cardiovascular system. I have a good selection of hills opposite me up to Wimbldeon Village to choose from. On Saturday I tend to do the early BMF session and then jog over to the start of parkrun. As I have already done an hour or so of working out, parkrun can be fairly tough. I have to constantly remind myself that the people passing me have not done what I have just done. Each week, I tell myself I am going to take it easy but end up going off at a good clip, and then once I’m a couple of kms in, I think, I may as well carry on and go for a good time. This therefore makes it pretty tough and a great extra workout. I have not done long runs for some time. I am finding the idea of them quite daunting. Since I moved house in January, I have only be running from my new place about 3 times. I am going to have to start exploring the local area a little more. There is always Wimbledon Common to fall back on, but when I am there and try a new route, I tend to get lost. That is not always a bad thing and tends to lengthen some of my runs. So than is my Half Marathon plan. It is only 4 days a week, but I have found that I need longer to recover so these rest days are just as important and the runs. I will keep you updated on how it goes!